We’re about to get fresh around here… it’s spring and suddenly mint is taking over my yard. When I was first setting up this little “garden” area of mine, I was warned that mint would trail out of control. To me, this sounded like a delightful problem to have. I mean, is it even possible to have too much mint?! (I’ll have to answer that one for you later). First up: this refreshingly simple mint matcha iced tea. This is obviously not a traditional way to use matcha, but I just love it. 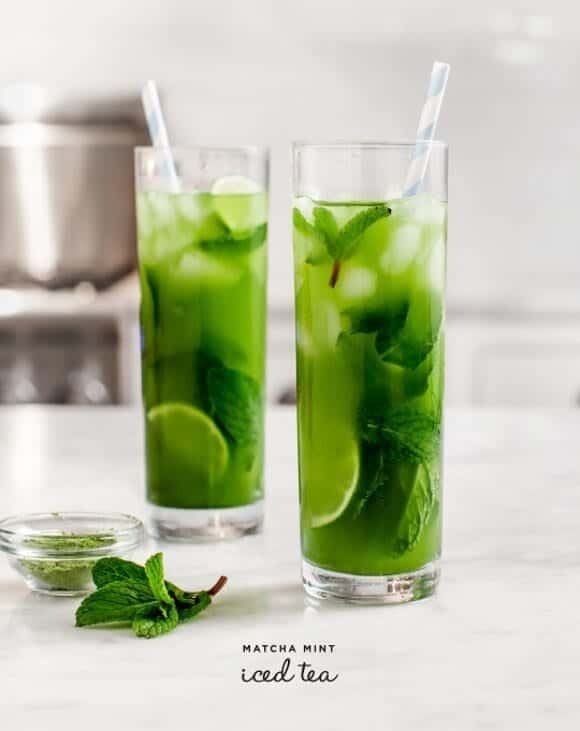 Instead of whisking your matcha, shake it up in a cocktail shaker (or in a jar with a tight lid), then add ice, mint and lime juice. I preferred mine unsweet, but you want more minty-sweetness, steep the mint into a simple syrup. Using a cocktail shaker (or a large jar with a non-leaky lid) shake together the water and matcha until there are no lumps. Add the ice, a squeeze of lime, handfuls of mint and shake it some more. (Add sweetener if you like). Pour into glasses with extra lime slices and mint. Minty Simple Syrup: Heat 1 part white sugar and 1 part water in a small saucepan, stirring until the sugar is dissolved. Turn off the heat and drop in handfuls of mint and let it steep until it cools to room temp. Strain out the mint and chill until ready to use. 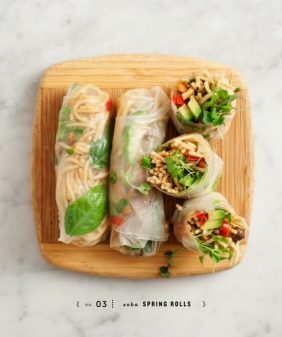 This recipe was created for Aiya America. All opinions are our own. 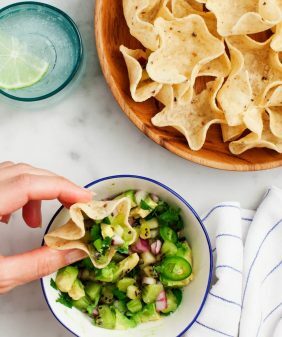 Tips to use every part of the vegetable - waste not want not! This looks so refreshing! Can’t wait until my mint comes up… a few more months for us, I’m afraid! That does sound like a lovely problem to have! I keep meaning to set up a little apartment garden, but I still have beaucoup research to do on gardening in tiny spaces (aka a box next to the window). This tea looks so wonderfully refreshing! What a gorgeous drink! So colorful and vibrant. Perfect for spring! Can’t wait to try this – you’ve convinced me that I need to buy matcha! That sounds deliciously refreshing! And it looks beautiful. Could those be any more beautiful?! I’m so excited about these because I’ve had a tin of matcha in my cupboard that I’m trying to use up, and this looks like the *perfect* application. Thanks! Hi!I’m sorry for this stupid question, but how can I share this amazing post with my profile google+? so simple, i will try this recipe later, thanks for your tips 😀 Love it ! I to have mint every where and thought as I read your mint recipe—- Pesto mint!!!! going to make some!! Ooo, this looks so refreshing! I have tons of mint growing in my back yard too. Your pic is always SOOOO gorgeous, and this recipe is a MUST-SHAKE. This is so beautiful! I can’t believe how bright green it is! I love, love, love this. Perfect for Spring – definitely would impress dinner guests! I bet a splash of vodka would make this a wonderful cocktail too!! Have a pregnant friend coming to a cocktail party. I can make this for her while the rest of us drink mojitos. That green is gorgeous! Oh my. This looks gorgeous! I love anything matcha, but I have never had a matcha and mint combo. Yum! Wow, this is incredible! Matcha and mint together! And two of my favorite flavors 🙂 You’re so smart! Delicious! I just got into (and blogged) a Matcha Almond Milk latte – def going to add this to the Matcha repertoire. Thanks! Found this beautiful image via Instagram. The green is so lush! Thank you for all that you do! P.S. Your website looks like a kitchen wonderland on the internet! The graphics and photography are simply gorgeous. but it will leave your housee smelling like the amazing fruit that it is made from, oranges. LOVE! 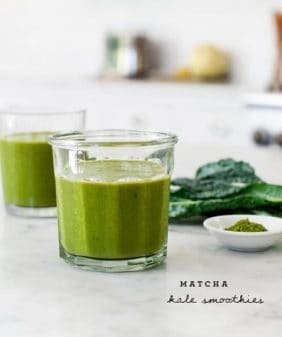 I’ve been looking for ways to use my matcha other than matcha lattes (because as yummy as they are, they get boring!) I’m so trying this! 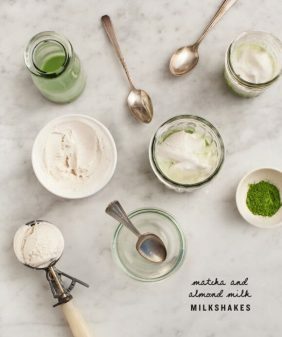 Great uses of matcha here, we are loving the recipe ideas and can’t wait to try some out! 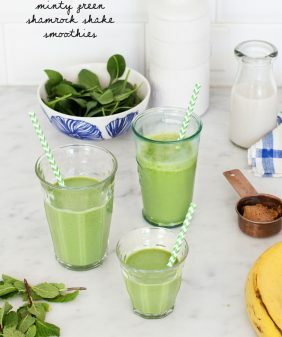 Check out our jasmine matcha here: http://www.loveleaftea.com/the-teas-c1/green-tea-c4/jasmine-matcha-p32 🙂 We are also getting in some white and organic rooisbos matcha too so would love to hear any recipe suggestions you may have for our upcoming matcha blog post in March. Let us know your thoughts! i prefer use than sugar,. Does anyone know where I can buy matcha in bulk? 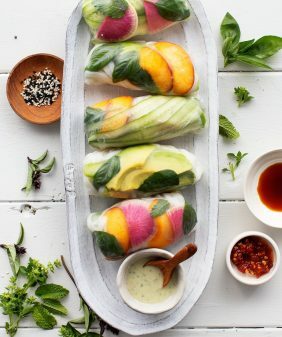 stupid question : can you make big batch of it in advance minus the ice and leave it in the fridge and will it taste as good? Hi Marvin, the fresh mint will start to turn brown after about a day. Place the mint leaves in the palm of your hand. Using the other hand, gently tap the leaves to release the oil. (This is a great alternative to muddling the leaves and keeps them whole.) If you don’t have a matcha whisk available, try a hand held frother or shake vigorously in a cocktail shaker. Sweeten to taste with simple syrup or honey. A food blog with fresh, zesty recipes. Hello, we're Jeanine and Jack. We love to eat, travel, cook, and eat some more! We create & photograph vegetarian recipes from our home in Chicago, while our shiba pups eat the kale stems that fall on the kitchen floor. Copyright © 2019 Love and Lemons, LLC. All rights reserved.